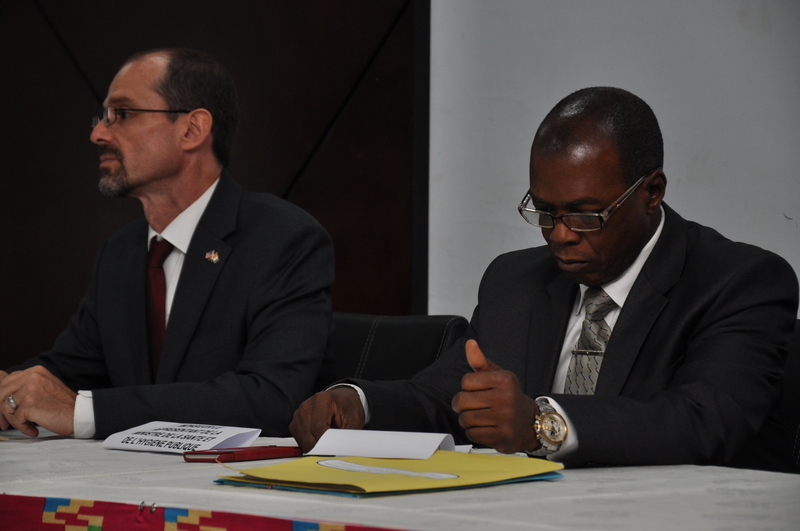 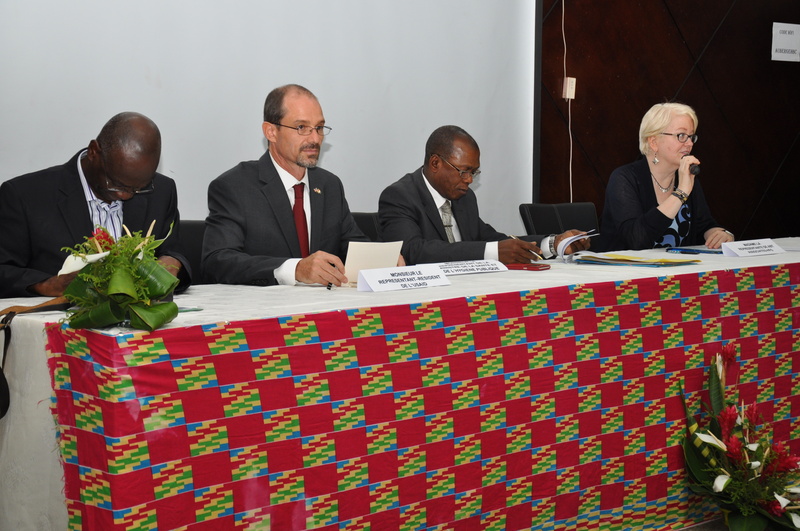 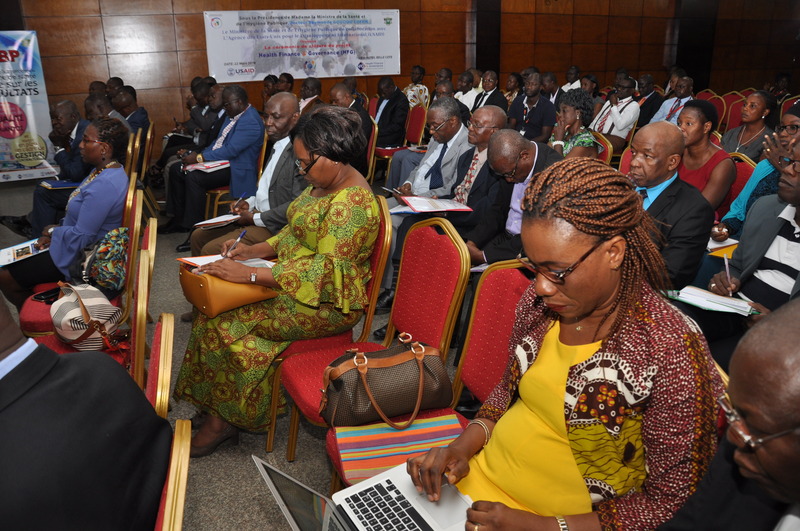 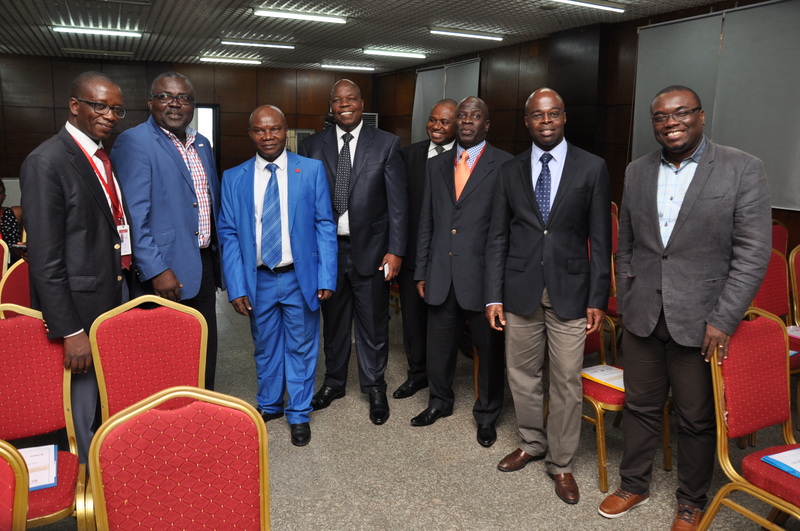 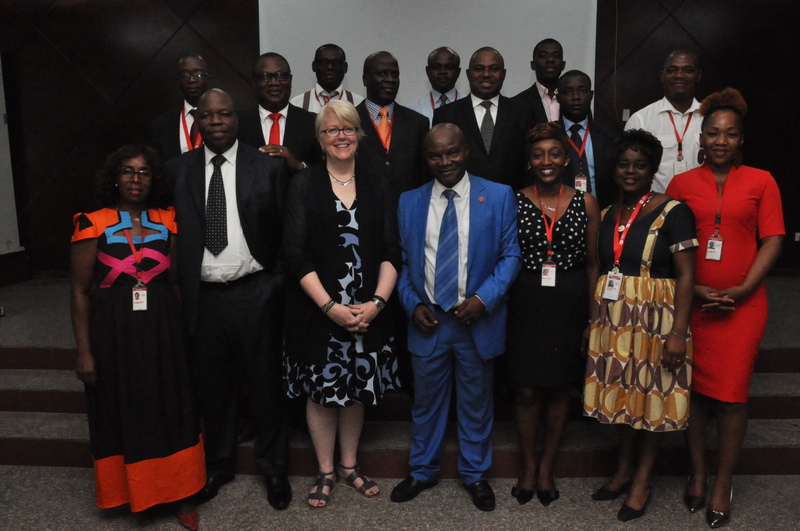 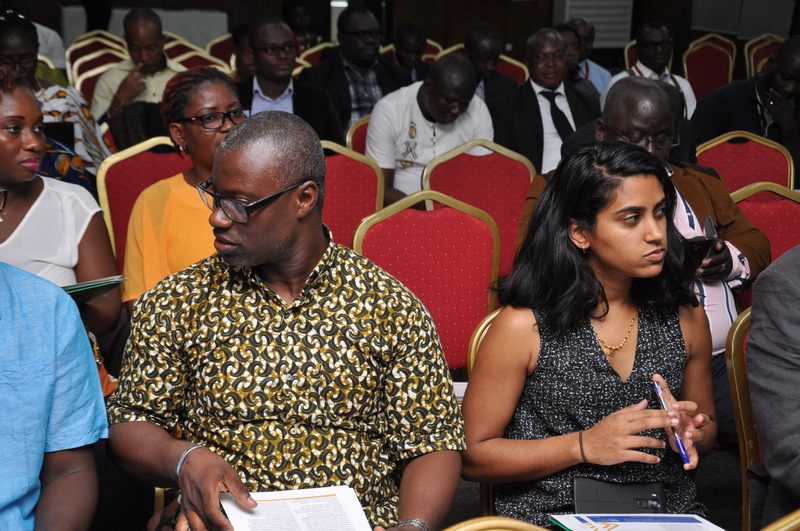 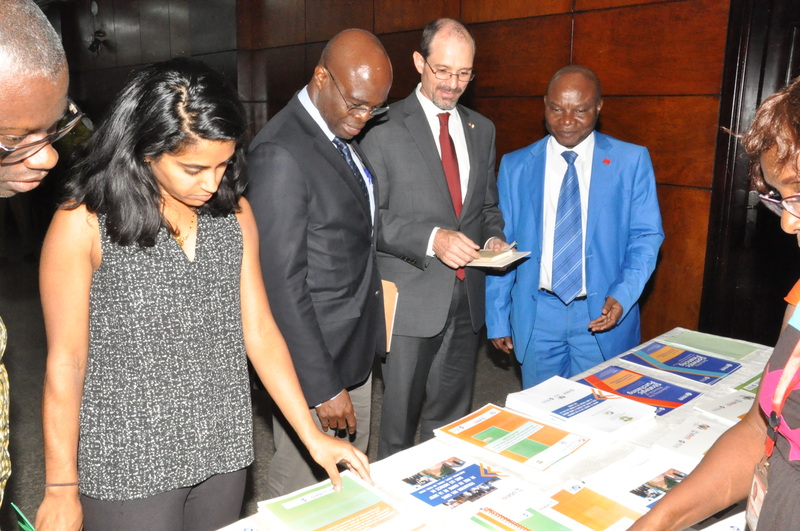 The HFG End of Project (EOP) ceremony in Cote d’Ivoire was held under the chairmanship of the Minister of Health and Public Hygiene (MHPH) and coordinated by the General Health Inspectorate. 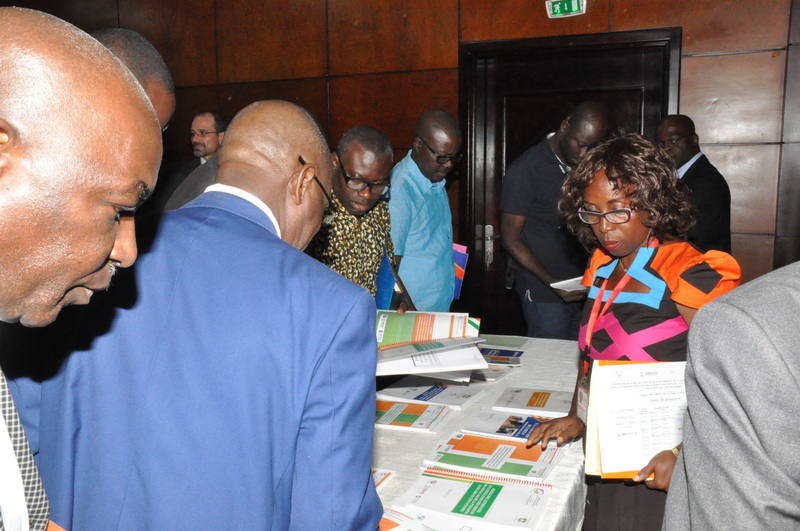 The event was attended by the Deputy Director of the Cabinet, Dr. Ablé Ambroise, representing the Minister of Health, Mr. Jeff Bryan, Country Representative of USAID, Dr. Bledi Felix, Inspector General of Health, Ms. Lisa Nichols, Côte d’Ivoire Country Program Manager for HFG, as well as representatives of technical and financial partners and key actors of the Côte d’Ivoire health system. 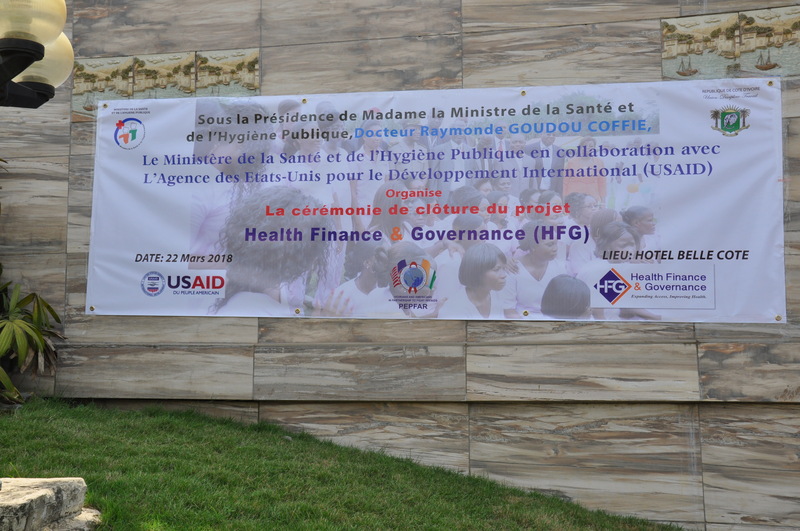 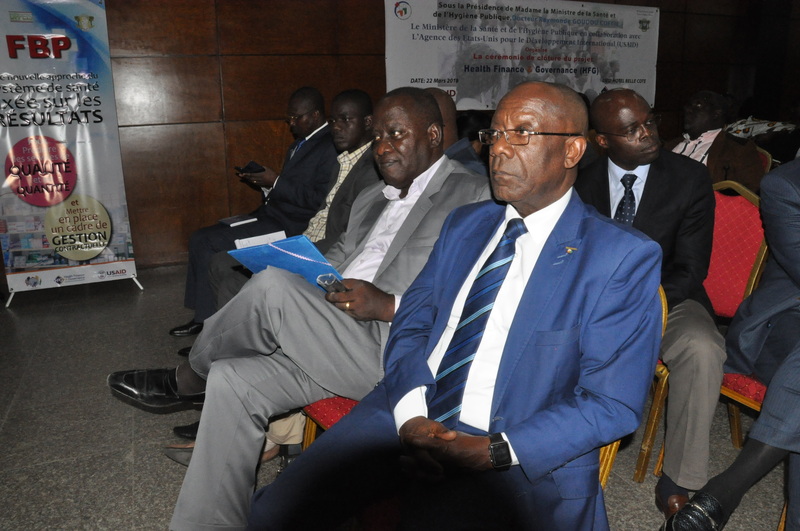 The opening ceremony was led by Dr. Ambroise, who appreciated HFG’s mission to support the strengthening of the Ivorian health system to address the health needs of its populations. 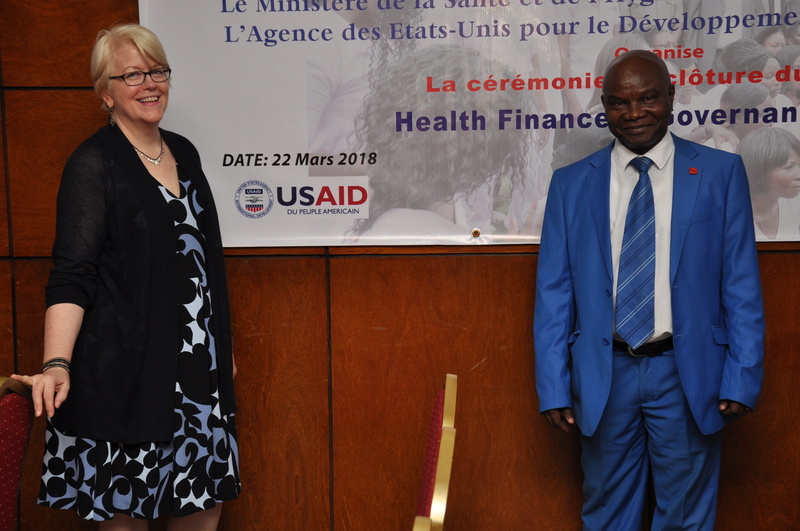 The USAID Resident Representative, Mr. Bryan also highlighted that HFG effectively supported the Ministry of Health in strengthening governance and health financing and that USAID welcomes the achievements made by the Ivorian health system through the project and their continued support of Cote d’Ivoire’s development objectives. 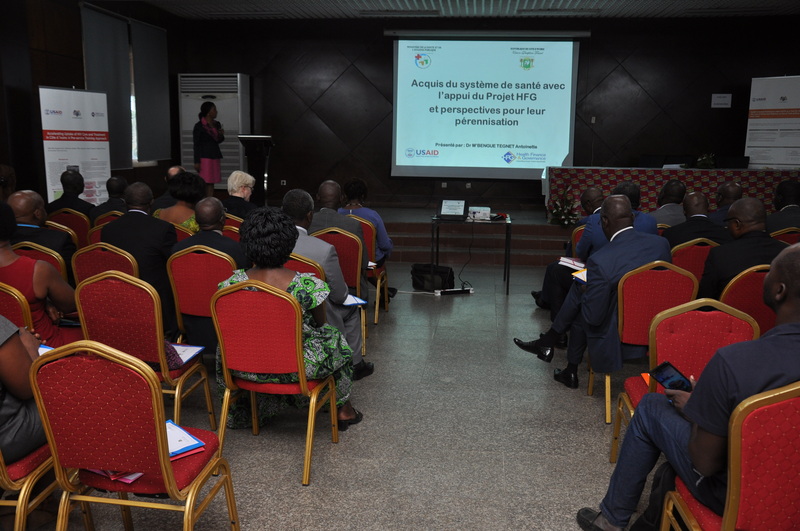 After the opening speeches a presentation was made by the MHPH of the “Health System achievements with the support of the HFG Project and prospects for sustainability” by Dr. M’Bengue Antoinette, Inspector of Health. 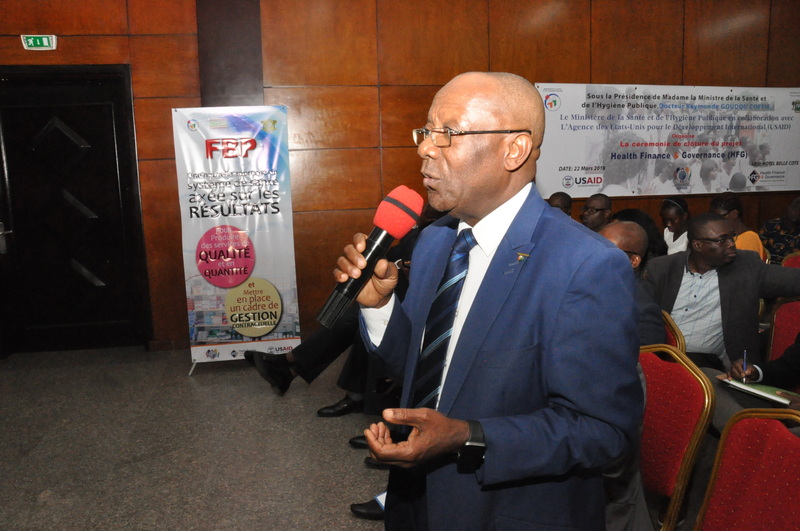 The presentation was followed by discussions moderated by Dr. Ablé Ambroise during which the heads of the various MHPH departments supported by HFG expressed their satisfaction with the support of HFG. 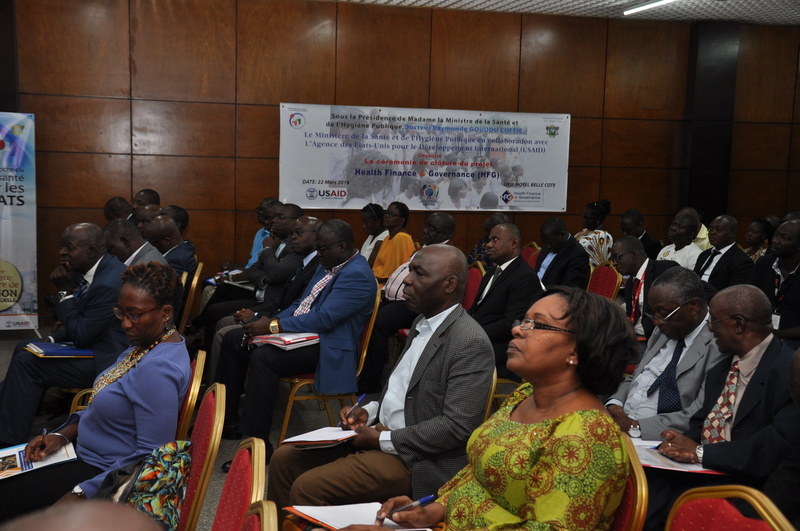 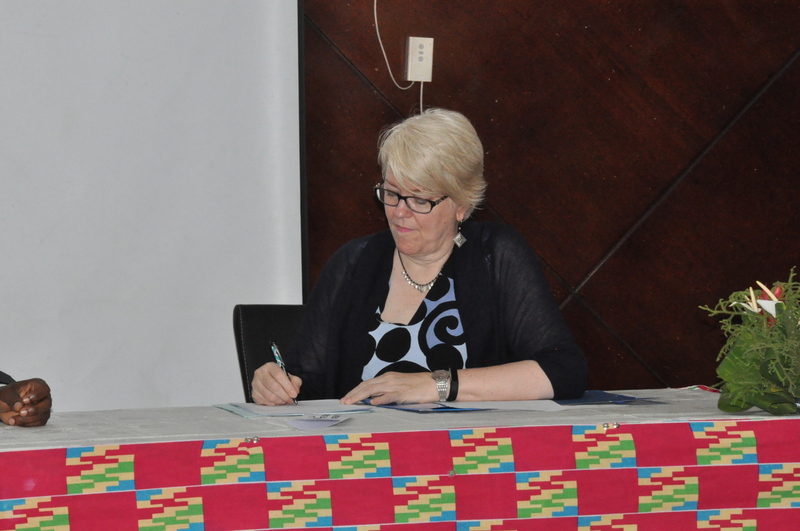 In response, the Country Representative of USAID reiterated the willingness of the US Government to continue to engage with other technical and financial partners to enable Côte d’Ivoire to have a successful health system where various actors, develop a culture of results and accountability in order to improve the health status of the Ivoirian people.